Mooching around Covent Garden last week (as you do!) I stumbled across the Bare Escentuals boutique (the only one of it’s kind in the UK) and practically squealed at it’s boutiquey cuteness and revolving tester tables! I wish I had a picture to show you… but if you ever find yourself at a loose end whilst down Neal Street, check it out… I could have spent many, many hours in there swatching all the pretty shadows. Truly surrounded by pigment…. a swatchers paradise. It also helped that the MUAs in there were completely approachable and at one point swatching with me and rediscovering shades they liked and disliked themselves in an attempt to find a potential alernative for an OOS shade I wanted to pick up. Anyway, I was looking for a more summery lid colour… but as a neutral-loving fiend I wanted to be able to combine it with my boring beloved array of taupes and mauves in my collection. Bare Escentuals Heart is a wonderfully blended concoction or rose/mauve/pink/bronze… it’s dusky without being flat and colourful whilst still remaining neutral. Being a ‘glimmer’ it’s pretty darn sparkly but despite this, still works surprisingly well as a crease colour. I do love these minerals for their blendability and this is no exception. At £13 for a small pot, they’re not cheap… but a little really goes a very long way. I barely have to touch my brush to the sifter to pick up enough colour for both eyes. 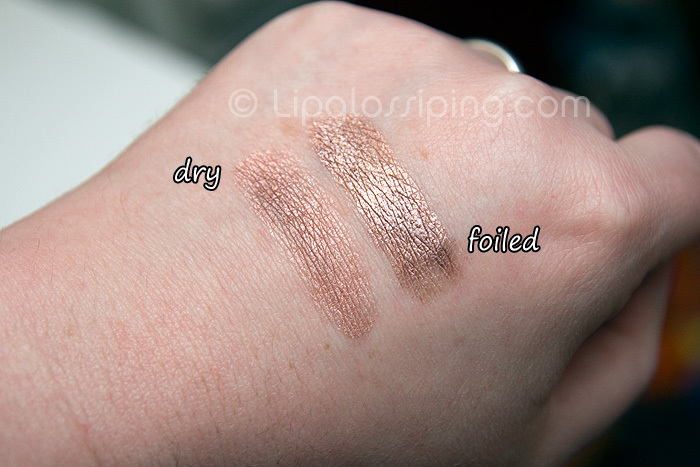 I also fell in love with two other shades whilst browsing… Queen Phyllis makes the most beautiful highlight and Grace is simply one of the most beautfiful minerals I’ve ever swatched… I was proper “woahhhh… that’s purdy” whilst playing with the testers… so I was gutted to discover that Grace was out of stock when I tried to buy it! 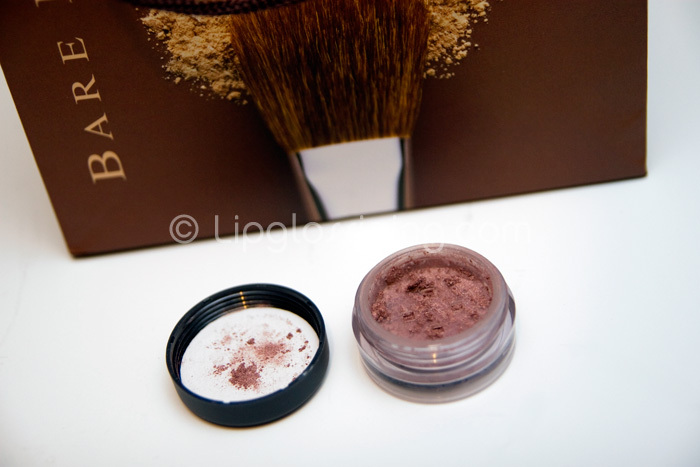 Have you checked out the Bare Escentuals boutique? What are your favourite BE shades? Oh, God. I don’t need another reason to spend all my money down Neal Street. The boutique wasn’t open last time I got to London but my Mum went the other week and told me how amazing it was. this looks sooo pretty foiled! Oooh that is such a pretty colour, gorgeous rose gold! But we don’t have ‘Heart’…my OH has just bought me this today whilst on a business trip so I thought I’d have a sneeky Review, & found your Swatch: & now convinced he’s made a great choice!